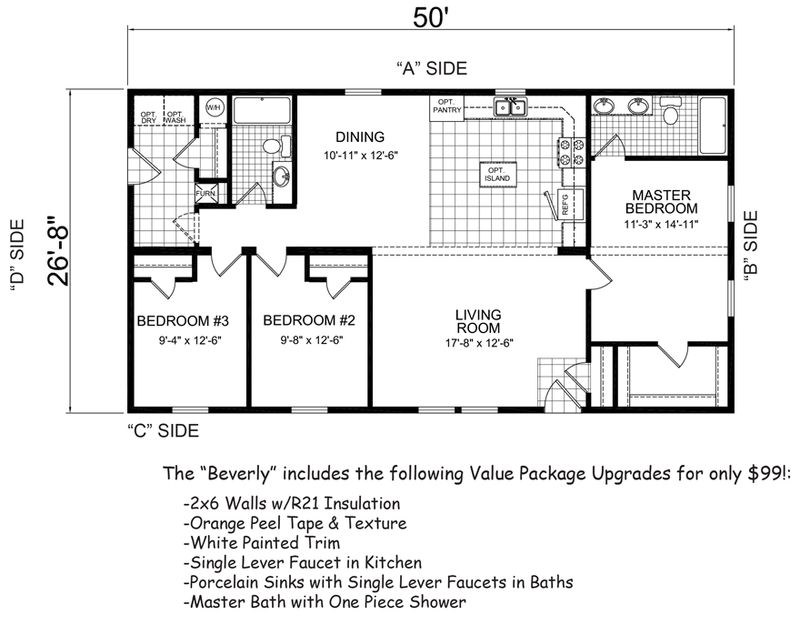 The Beverly model has 3 Beds and 2 Baths. This 1333 square foot Double Wide home is available for delivery in Nebraska, Colorado, Kansas, North Dakota, South Dakota, Wyoming, Iowa, Missouri. Many manufactured home buyers start their search for the perfect home by making a list of “must-haves”. The typical list includes an open kitchen with loads of countertop space and an enviably large master bedroom suite with huge walk-in closet. The medium-large sized Beverly meets ALL of these requirements and then some. Ask about the optional kitchen island. 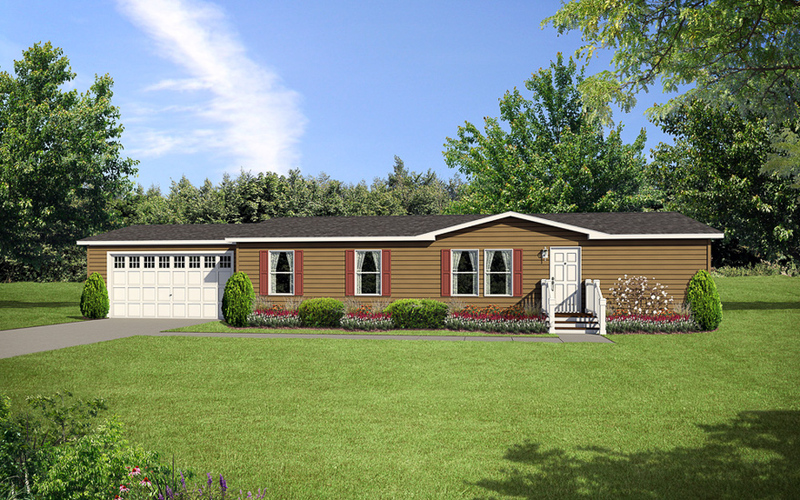 Ask your housing consultant about the other great features that come standard on the Beverly manufactured home.